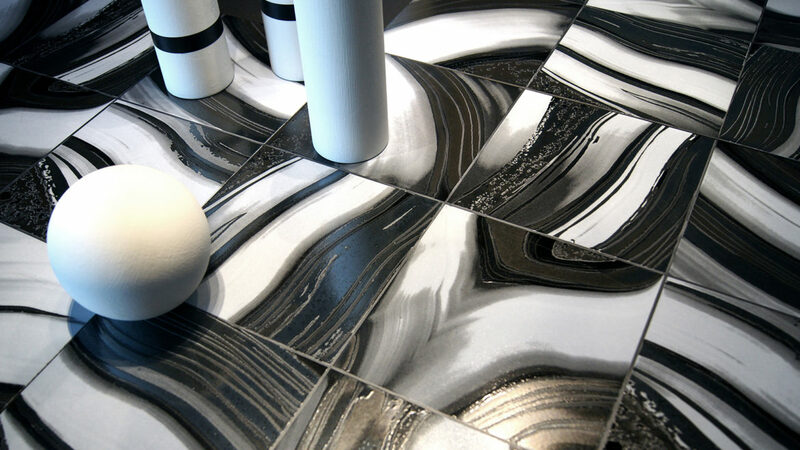 Tiles for a modern home. Thanks to the support of architecture and design studies Great Italy has elaborated high quality projects which completely satisfy both the feature’s search of tiles and the right choice for new stylistic trendies nowadays. The experience in the field allows Great Italy to focus on some main principles as the studying and the continuous production of new high-quality work schedules, the great carefulness of product quality and the direct contact with its own customers. Since day our designers have experimented and sought new ways to fashion small ceramic works of art in an innovative way. Create stunning effects with our selection of colours and quality materials which will really bring your living room to life. Whether you are planning a classic, elegant look or a striking modern design, let Great Italy help you achieve your vision. With Great Italy you are limited only by your imagination; the choices are endless! Great Italy will help you to create your desired look – from uber feminine to an urban loft look, from city slick to shabby chic or trendy – create the look you want. Beautiful modern interiors can come in any style — rustic, industrial, minimalist, contemporary or traditional. 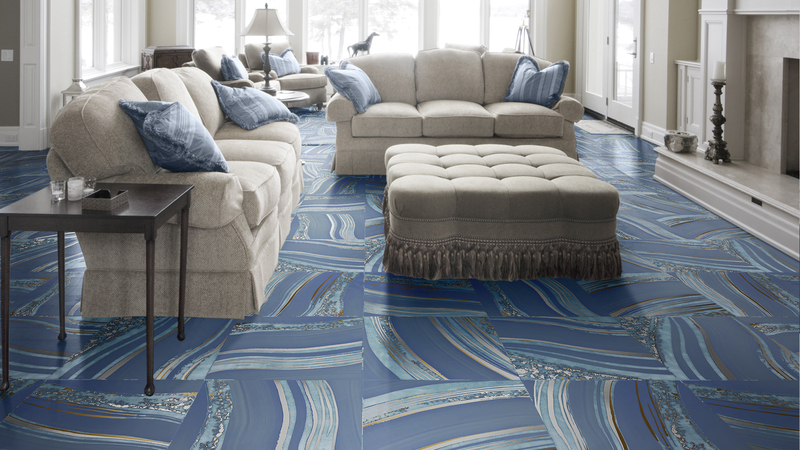 Whether you prefer colors and patterns or a neutral palette, you’ll find plenty of inspiration for refreshing and renewing your living space. We hope this page will inspire you to achieve the results you want. For us details make a big difference and nowhere does this ring more true than where home décor is concerned. Modern porcelain tiles studied to dress the New Millennium’s ambiences, for a living in line with cutting-edge trends of design, for avant-garde style homes. 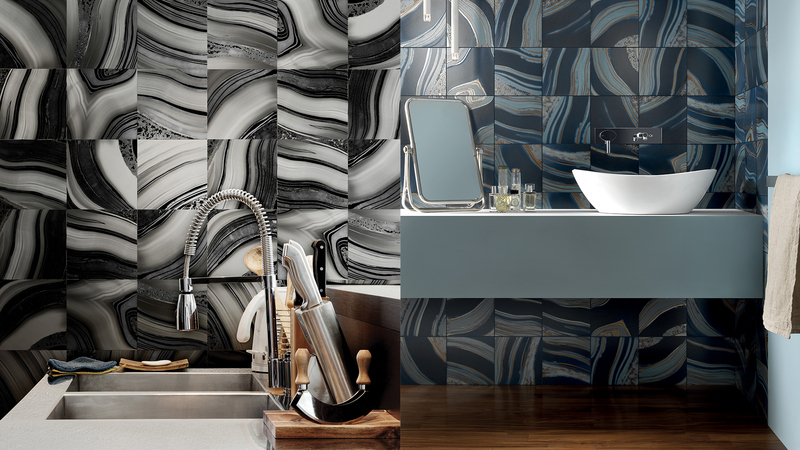 Light reflections blend into metallic and silky glazes, recalling the original stripes. The 4 available colors vary from purple, to yellow, to blue, all the way to a contrast of white & black. 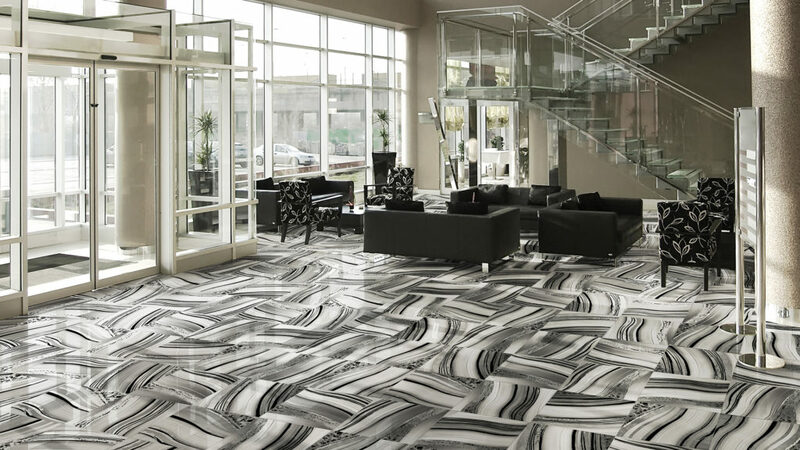 The collection comes in size 8”x8” and has 9 mixed patterns and in 24”x24” with 4 enlarged mixed patterns which create a faceted rich and harmonious collection.